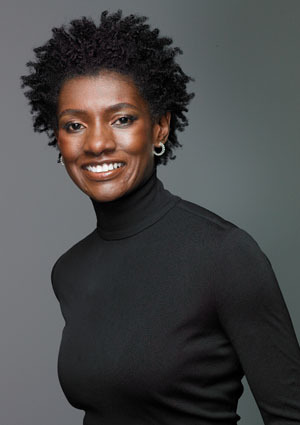 I’ve always read the editor’s column of Essence magazine, but it was brought to my attention (from my mentor Rachel) how beautiful and brown skin representin’ the new Editor-In-Chief is, Constance C.R. White. Not only is she representing women of color in the print industry, she’s rocking her fro loud and proud. It’s always a surprise to see new faces, new management, and new writers in your favorite magazine but her work has been well received and I really appreciate it. This month’s issue discussed all aspects of black women power. In her column entitled, “Young, Black and Amazing”, I was not only reminded how amazing it is to be black woman but she gave some great advice for us twentysomethings. It’s really hard out here and through dissapointments and challenges we face when establishing a career its always good to have a support system of powerful black women to look up to. Constance White is definitely a powerful black woman to look up to and so her advice month hit room for me. 1. Ask yourself, what do I want to be doing at 40? 2. Make a plan and work it. You can tweak it along the way. 3. Reach out. You don’t have to do it alone. We’re here for you. 7. Video dancer is not a profession. I would like to know how to I go about having you feature two black ladies in this category in your magazine? Courtney b. Scrubbs and Jamekala Isles. One has double major medicine and law and other military high ranking. My phone is 318-465-1509. Loretha Bradley.